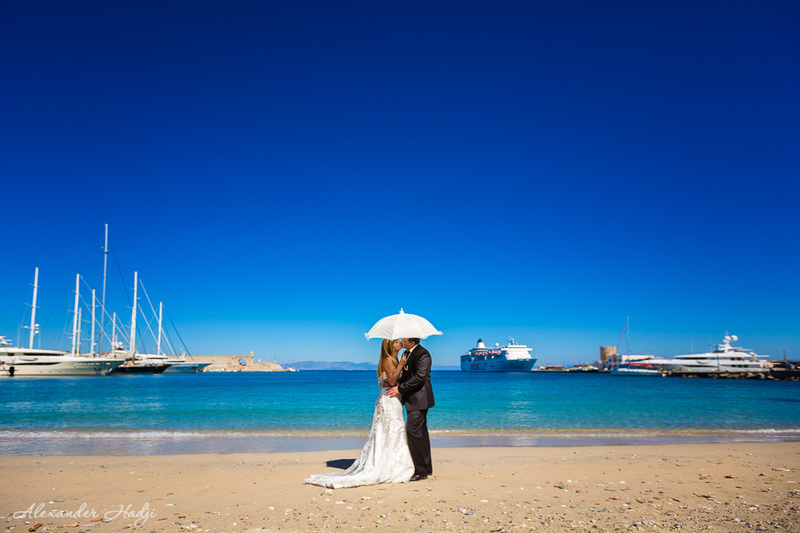 Rhodes Wedding Photographer Alexander Hadji shares a beautiful wedding photoshoot in Rhodes, Greece. 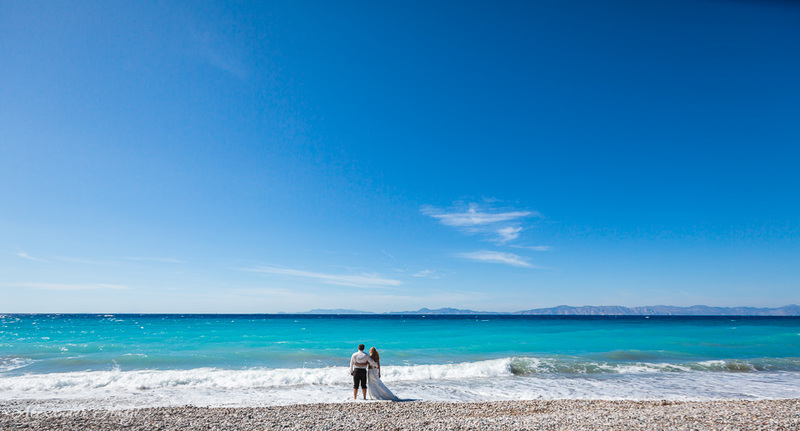 The perfect colors of the Mediterranean and days of endless sunlight make an amazing photo story. 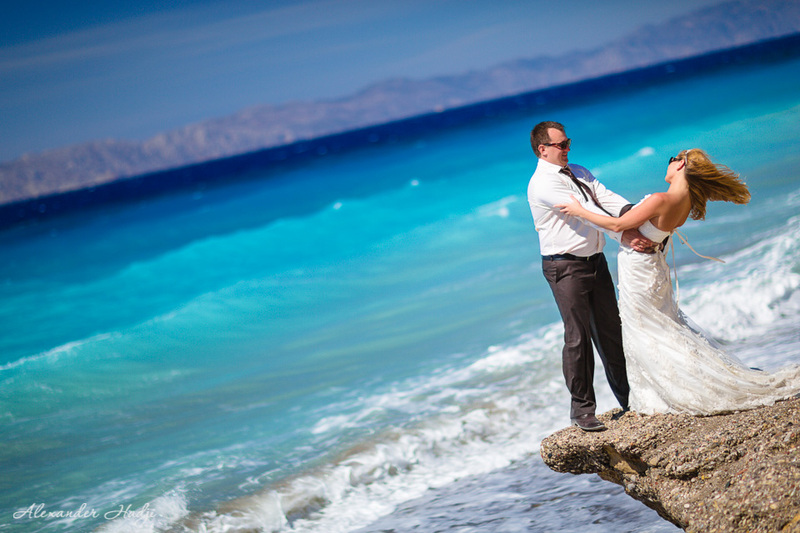 A photo story where a beautiful bride and a charming groom star. 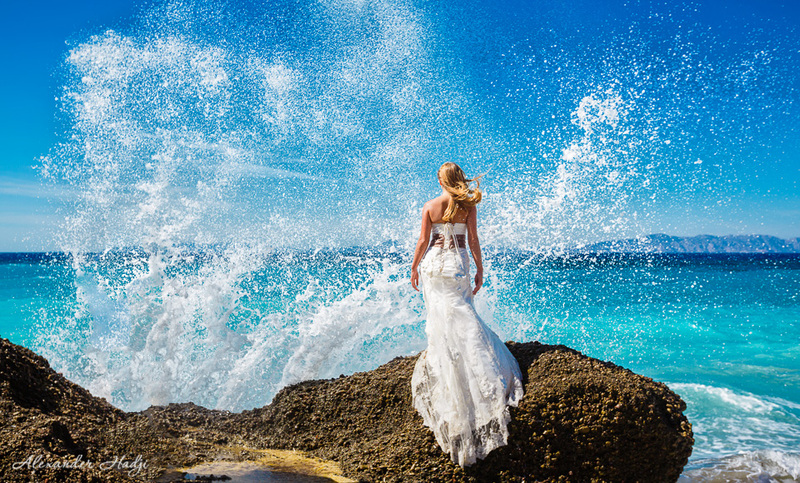 Just picture the waves splashing like champagne – one of the best ways to celebrate your big love, is not it? Rhodes, the island of the Knights, and a sunny though slightly windy day make it possible. 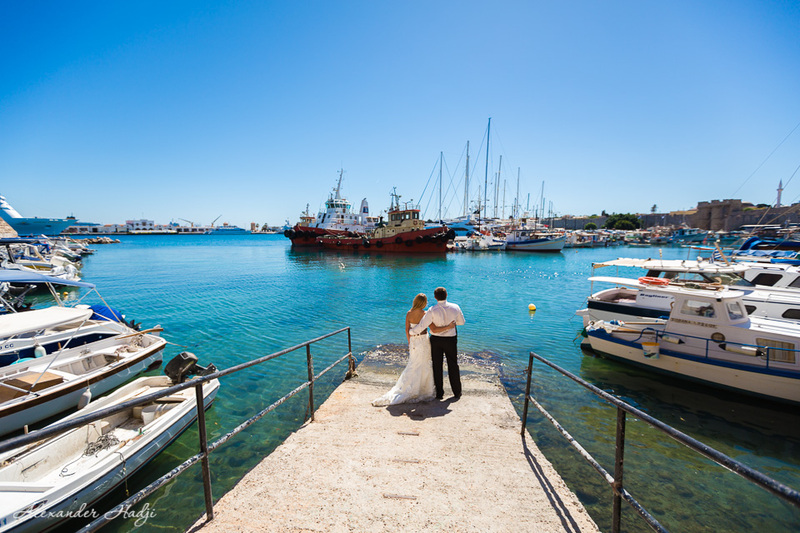 The photo shoot started in the Old Town of Rhodes all the way through the tiny streets and cosy corners. 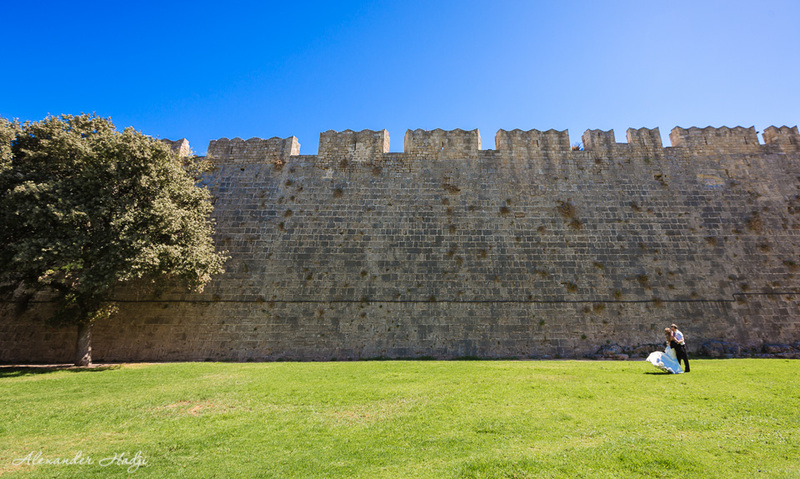 Palace of the Grand Master of the Knights of Rhodes was also a must point for taking pictures. 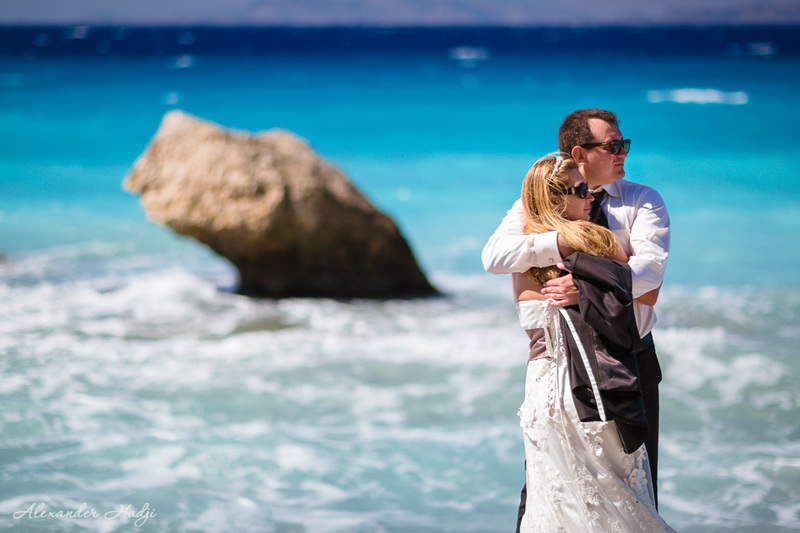 For any bride feels like a princess here and every groom becomes a knight 🙂 We also had a stroll along the Rhodes seashore and found a lovely bus stop with turquoise sea as background. This spot inspired us to take some pictures which proved to be really great and meaningful ones. 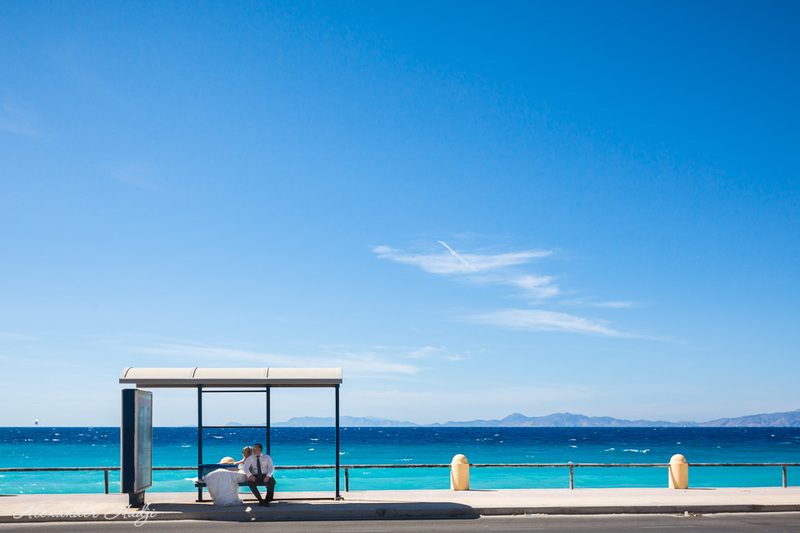 Because if you are in a great love, any bus of life will lead you to the happiness. 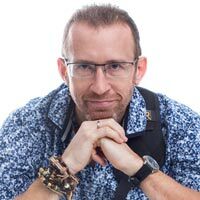 So get ready – next stop – Happiness! 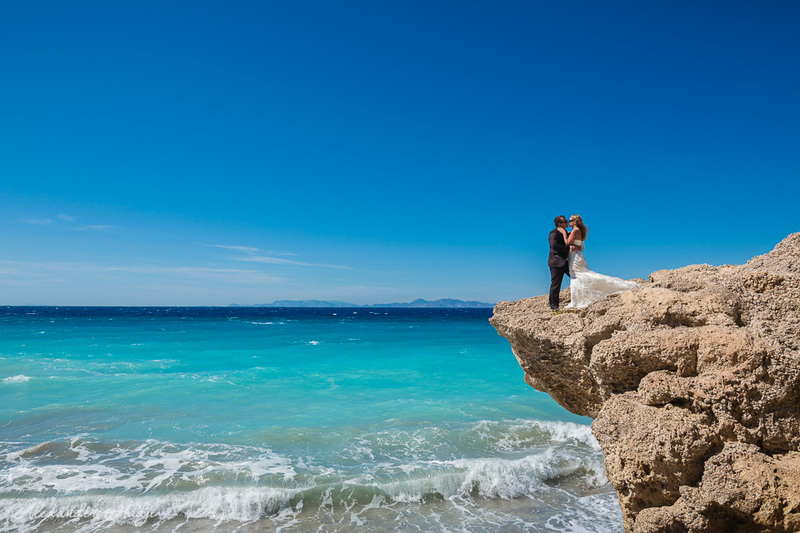 Here you can take a look at a breathtaking wedding slide-show made of the recent destination wedding photographs by Alexander Hadji. 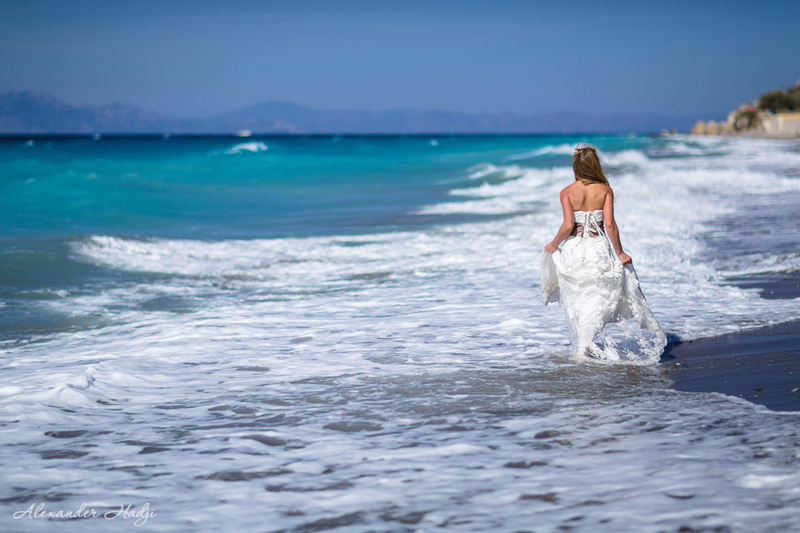 To book your destination wedding photography in Rhodes, Greece by Alexander Hadji please email info@hadjiphoto.com, make a call to +306951661016 or leave your contact details to get a call-back from the photographer.